You'll love this Victorian cottage style Bed and Breakfast just a few blocks from the beach and fishing pier in the heart of the Virginia Beach resort area. Nicely appointed with just the right mix of antique pieces and beautiful handmade quilts, this elegant Inn welcomes you with open arms. This is our pick for a relaxing, comfortable place to stay away with the boardwalk area hustle and bustle. There are also covered porches with rocking chairs for lounging and people watching, and a backyard patio for outdoor dining, and much more. Only 3 blocks to the Ocean and a short drive to Norfolk. Voted #1 Spa Bed and Breakfast in America. The charming beach cottage, circa 1937, has been transformed into a mini spa resort. Majestic porches, butterfly bushes and a cascading waterfall welcome guests into the enchanting retreat. Historical postcards decorate the Inn. 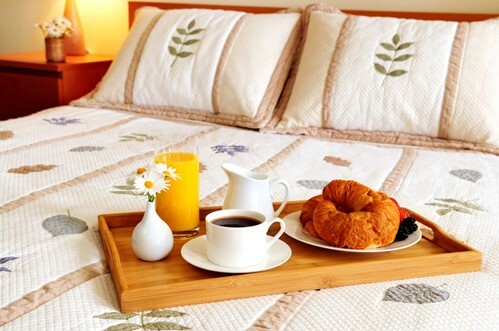 Beach Spa Bed and Breakfast is a great alternative to hotel accommodations and perfect for a romantic getaway. Angie's Guest Cottage offers lodging that is located close to all local attractions and events. This cottage is comprised of individual lodging units, efficiencies, one bedroom apts. with private deck, and HI-Hostel for our international travelers.